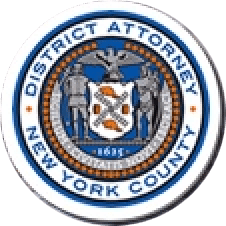 Manhattan District Attorney Cyrus R. Vance, Jr., today announced the indictment of ROBERT DEPALO, 60, JOSHUA GLADTKE, 37, PANGAEA TRADING PARTNERS, LLC. (“PANGAEA”), and EXCALIBUR ASSET MANAGEMENT, LLC. (“EXCALIBUR”) for defrauding foreign investors based in the United Kingdom out of approximately $6.5 million through a private offering in New York. The defendants are charged in an indictment in New York State Supreme Court with Grand Larceny in the First Degree, Money Laundering in the First Degree, Scheme to Defraud in the First Degree, and Criminal Possession of Stolen Property in the First Degree, among other charges. Additionally, DEPALO is charged with Criminal Tax Fraud. The United States Securities and Exchange Commission (“SEC”) conducted its own parallel investigation and is also bringing charges today. According to the indictment and documents filed in court, between July 2010 and December 2014, DEPALO was responsible for managing investors’ funds as the self-appointed President and Managing Member of PANGAEA, a Manhattan-based holding company. GLADTKE held the position of Vice President of the company and was tasked with raising funds by making pitches to prospective investors located primarily in the United Kingdom. GLADTKE, however, allegedly plied prospective investors with high-pressure sales pitches containing falsities and misrepresentations specifically designed to gain investors’ trust and convince them to invest in PANGAEA. Beginning as early as September 2010, the defendants are accused of providing prospective investors with a private placement memorandum that contained false or misleading information related to material aspects of investments, enabling the defendants to defraud approximately two dozen foreign investors out of millions of dollars that were then diverted to the defendants’ personal accounts. As alleged in court documents, among other false and misleading statements, the offering memorandum misrepresented PANGAEA’s ownership interests in two brokerage firms, Arjent LLC and Arjent Limited, at which DEPALO and GLADTKE held executive positions. GLADTKE allegedly used his position to convince unsuspecting investors to diversify their investments in publicly traded securities with private securities whose funds and objectives were ultimately controlled by the defendants. For example, the offering memorandum disclosed a consulting agreement between Arjent Limited and a financial services company called EXCALIBUR—but, as alleged in court documents, materially misrepresented the degree to which DEPALO was associated with the company, which received thousands of dollars each month through the consulting agreement. In reality, DEPALO was the sole officer and employee of EXCALIBUR, and payments made to the company went directly to DEPALO, who used EXCALIBUR to allegedly conceal the stolen funds. Ultimately, DEPALO is accused of transferring some of the misappropriated money to GLADTKE, and using other funds to pay his mortgage, make approximately $285,000 in car payments including three luxury Bentley vehicles, buy more than $200,000 worth of jewelry and watches, and purchase a large horse-and-jockey lawn statue valued at approximately $22,000. Of the millions of dollars that DEPALO is accused of funneling to himself or entities he controlled, the defendant failed to make appropriate disclosures between 2010 and 2012 to the New York State Department of Taxation and Finance, thereby incurring additional tax liability commensurate with the stolen funds. In total, DEPALO failed to pay more than $245,000 in New York State tax for Tax Years 2010 through 2012. To date, none of the defendants’ investors have been made whole. Assistant District Attorneys Brian A. Kudon and José A. Fanjul are handling the prosecution of the case, under the supervision of Assistant District Attorney Garrett Lynch, Deputy Chief of the Major Economic Crimes Bureau, Assistant District Attorney Polly Greenberg, Chief of the Major Economic Crimes Bureau, and Executive Assistant District Attorney David Szuchman, Chief of the Investigation Division. The following individuals provided additional assistance: Senior Investigators Veronica Rodriguez and Matthew Winters, under the supervision of Supervising Investigator Donato Siciliano, Deputy Chief Investigator Santiago Batista, and Chief Investigator Walter Alexander, all of the Investigations Bureau; Financial Investigators Miriam Bouchma and Nicholas Cangro, under the supervision of Deputy Chief Irene Serrapica, and Chief Robert Demarest, all of the Forensic Accounting and Financial Investigations Bureau; Director of the High Tech Analysis Unit Steven Moran; and Investigative Analysts Samantha Hall, Samuel Hobbs and Elizabeth Friedrich assisted in the investigation. Deputy Chief Vimi Bhatia of the Asset Forfeiture Unit is handling the civil asset forfeiture‎ action under the supervision of Chief Lynn Goodman. District Attorney Vance thanked the following for their assistance with the investigation: City of London Police Department, United States Securities and Exchange Commission, New York Regional Office; New York State Department of Taxation and Finance’s Criminal Investigations Division; and the Financial Industry Regulatory Authority’s Criminal Prosecutions Assistance Group. District Attorney Vance also thanked Detective Constable Stuart Liddell of the Major Crime Team for the Northumbria Police based in Newcastle upon Tyne, England, under the supervision of Detective Inspector Steve Wouldhave.